by Charles Ornstein, ProPublica December 16, 2016 This story was co-published with The Virginian-Pilot. When Washington Rep. Linda Kochmar stood to speak at the town hall meeting in Seattle, it wasn’t only in her capacity representing the state’s 30th legislative district. Vietnam Veterans of America had co-sponsored the May 2014 meeting for vets and their children to share their health struggles and worries that Agent Orange was to blame. Kochmar went to the VVA event for much the same reason as everyone else: She wondered if her husband’s wartime exposure could have harmed her children. Kochmar’s late husband, David Weinberger, had flown a C-123 airplane, the type used to spray herbicides, including Agent Orange, over Vietnam’s thick jungles. They had one son, Matthew, before he left for war, and two children, Peter and Laura, after he returned. A new ProPublica analysis has found that the odds of having a child born with birth defects were more than a third higher for veterans exposed to Agent Orange than for those who weren’t. Read the story. VVA has organized some 250 town halls like the one Kochmar attended as part of a project called Faces of Agent Orange. The stories voiced in Seattle were typical of those shared at meetings coast to coast. And they echoed thousands of stories shared with ProPublica and The Virginian-Pilot over the past 18 months as we have investigated the possible generational effects of Agent Orange, some four decades after the war’s end. At the town hall, a veteran’s wife talked about a son with a rare heart problem, a daughter with learning disabilities and a granddaughter born with her femurs outside her hips. A veteran talked about his three children’s health problems, including extra bones and misshapen limbs. Kochmar said that for years, she didn’t fully connect the bad news in her life with her husband’s possible Agent Orange exposure. Not when Laura was in kindergarten, and teachers thought she had trouble seeing. Turned out she had no sight in one eye. 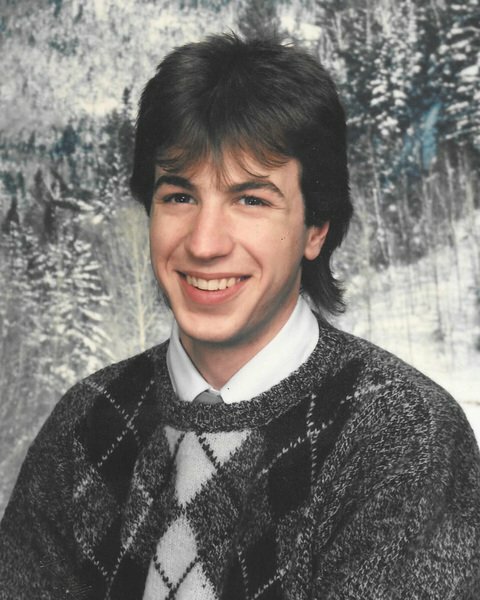 Not when Peter died suddenly at age 21 of cardiomyopathy, a previously undiagnosed condition in which his heart muscle grew too thick and caused him to have a fatal heart rhythm. Matthew, meanwhile, who was born before Weinberger went off to war, has no health problems and neither do his children, Kochmar said. Weinberger died in 1981 at age 36 in a commuter airplane crash. He hadn’t told his wife much about what he did in Vietnam, and right after his death, the military sent representatives to his house to collect his flight gear and flight bag from the Air Force reserves. “It was top secret,” Kochmar said. Kochmar’s son Peter Weinberger died suddenly at age 21 of cardiomyopathy, a previously undiagnosed condition in which his heart muscle grew too thick and caused him to have a fatal heart rhythm. When she was first elected to public office on her city council, Kochmar became more interested in veterans issues and started asking questions. “What’s connected? What isn’t? I wish there was some clearinghouse that would tell us, somebody in the government who would take responsibility,” she said. When Kochmar began speaking at the VVA event, she said she was angry. “I was trying to think of a nice polite word to say that we were screwed but I can’t think of a polite one,” she began. 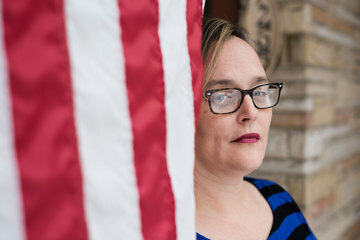 Like some other children of vets, Kochmar’s daughter, Laura Lauzen, said she doesn’t think she’ll ever know for sure whether her family’s suffering is connected to her dad’s exposure to Agent Orange. Lauzen said her mother is determined to keep the issue alive. Kochmar supported federal legislation to study the effects of toxic exposures during wartime on future generations, a version of which was passed by Congress last week.